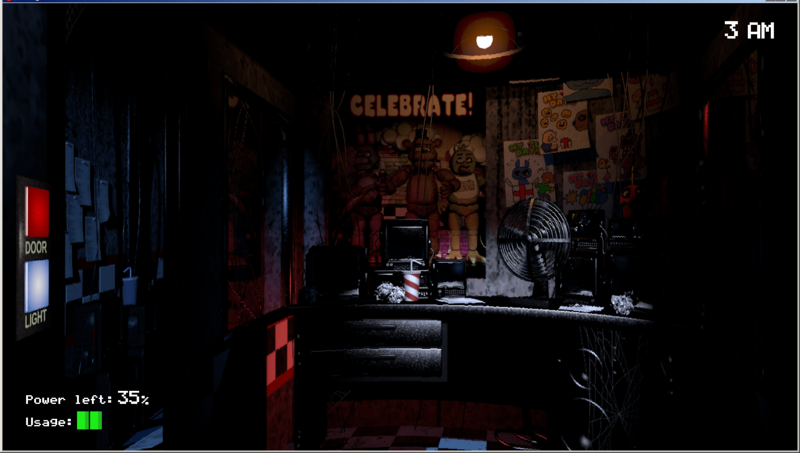 Five Nights at Freddy’s is our September 2014 “Not Crowdfunded, But…” title. 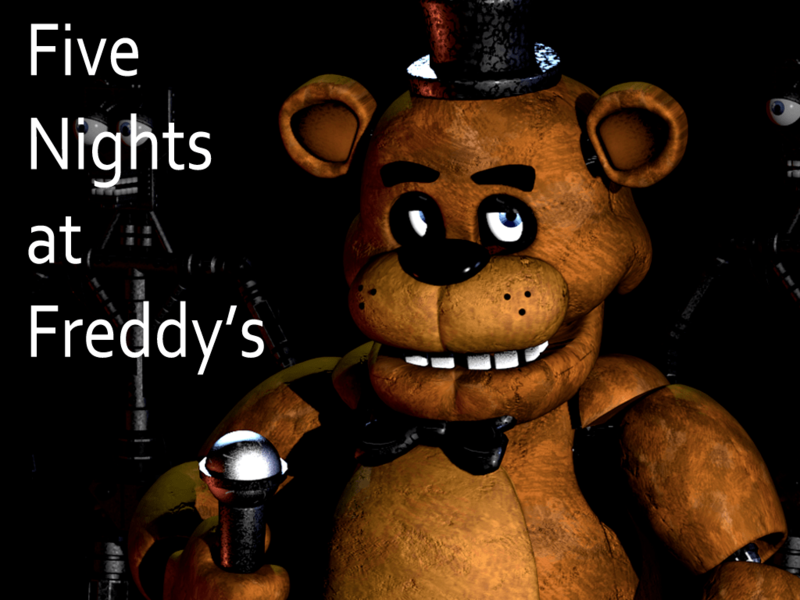 For more Five Nights at Freddy’s content head over here. [dropcap]H[/dropcap]orror games have been all the rage lately, haven’t they? Ever since Amnesia: The Dark Descent came out four years ago, there has been no shortage of first-person-spookers. Many of these games bring nothing new to the table and even more of them fail to understand what makes games like Amnesia so horrifying. To be fair, many of them are also made by a single person playing around with Unity. But, details. 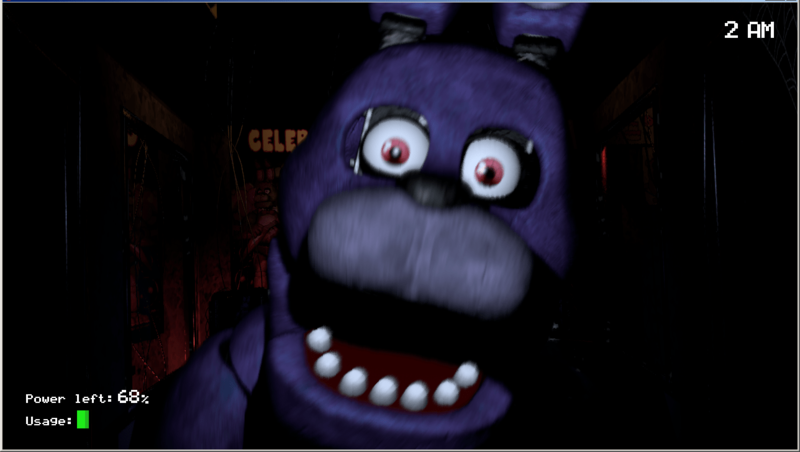 Going in to review Five Nights at Freddy’s I fully expected another one of these shallow, lifeless horror games. An awkwardly-rendered game with a cheap price tag and a trailer featuring YouTube personalities like Markiplier and PewDiePie screaming at the game on the Steam Page? Yeah, color me hesitant. You can imagine my surprise, then, when the game had me leaning back in my seat, my usual steel resolve absolutely shattered, dreading every mouse click. Each jump scare wracked my body with shock and, oddly, amusement. 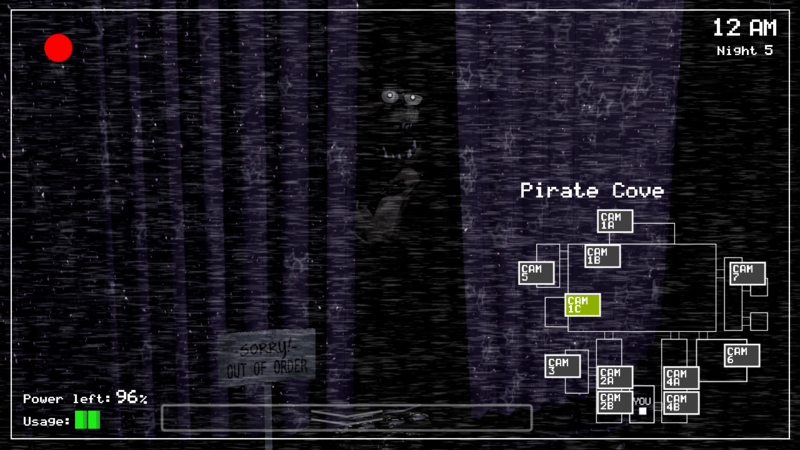 Don’t get me wrong: Five Nights at Freddy’s is still very much a cheap horror game. It relies heavily on jump scares and instant death mechanics to get a yelp out of you. What sets it above other games, though, is the game’s focus on simplicity and tongue-in-cheek humor. You are the new night watchman at Freddy’s, one of those children’s party places with the singing animatronics and, most likely, enough pizza grease to fill a swimming pool. During the day, the singing animals—the titular Freddy and his friends—do their job, but at night they get a bit crazy. Their programming is a little wonky, you see, and if they see anyone at Freddy’s at night they’ll assume they’re another animatronic and try to stuff ‘em in a metal suit. Full of gears. As an organic human, you could imagine how that might not go very well for you. 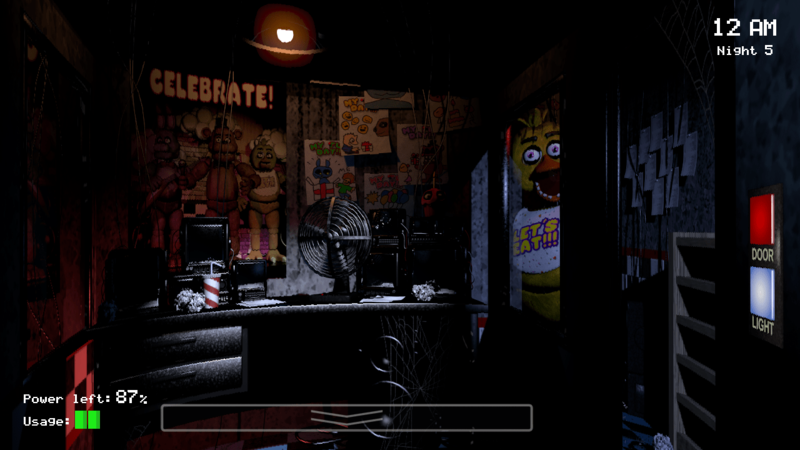 The gameplay is simple: you must keep Freddy and his friends out of your office for five nights. To do this, you monitor their movements with the security cameras and use shutters to keep ‘em from getting to you. Occasionally, you’ll have to switch on the lights outside of your office to see them coming. The gimmick, though, is that you have a limited amount of power (budget cuts and all that), and everything from lowering a shutter to glancing at the cameras drains it pretty quickly. Once it runs out, there’s nothing to protect you. Many of the animals have their own unique patterns—you’ll need to learn them if you ever hope to make it past Night 2. Even then, Freddy himself seems to have no pattern at all, and his unpredictability will keep you on your toes even on subsequent playthroughs. The game also employs tongue-in-cheek humor to ease the tension. Every night, the old night watchman calls you up to give you some encouraging advice, all passive-aggressively laden with urges not to quit so that he doesn’t have to come back. The concept of murderous animatronics alone is pretty funny, and you’ll probably laugh like an idiot every time one of them jumps up at the camera and screams in your face. The game knows how stupid its world is and isn’t afraid to embrace that. All of this creates an extremely tense experience that will drag you to the edge of your seat and hold you there until you quit. Five Nights at Freddy’s might be one of the simplest horror games ever made, and for that, I think it deserves praise. One of the most fundamental rules to making good horror is to do more with less, and Freddy’s adamantly follows that rule. Sadly, there’s little replay value here; once you learn the enemy’s patterns, the tension lowers drastically, and the gameplay itself gets dull in just a few hours. Luckily, the game is short enough that it doesn’t overstay its welcome—once I finished the game, I felt satisfied with the experience. Sometimes, less is more. Any horror fan would do themselves a great disservice by skipping this title. And trust me when I tell you this: go in blind. Don’t watch any Let’s Plays or streams. The game is much more enjoyable when you have no idea what to expect, and videos don’t do the tension it creates justice. Go in blind, and then work for five nights instead of quitting your job after the first night like any sensible human being would. You won’t regret it.